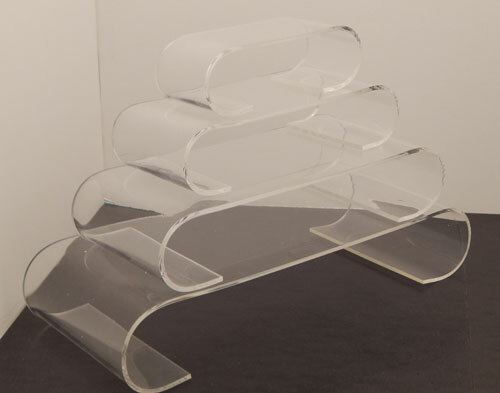 This elegant acrylic scroll riser has rounded ends that turn under in a half circle. 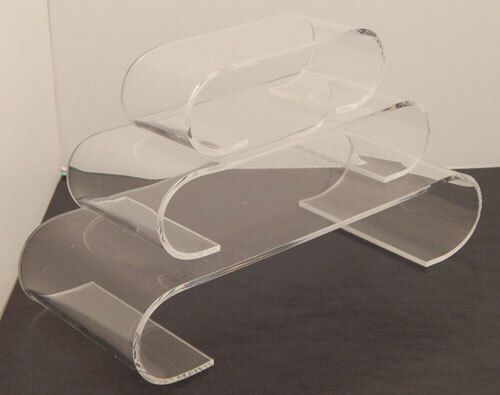 Risers are made from clear acrylic and blend well with any retail environment. Curved design lends an air of sophistication. 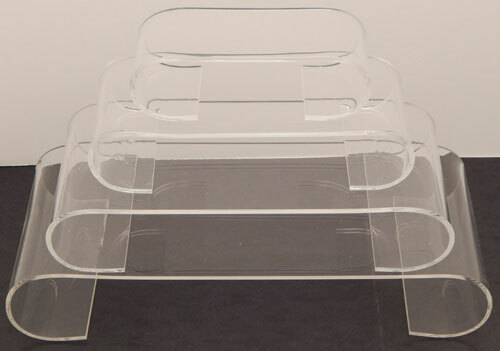 Risers are available in a variety of sizes. Acylic is a sleek and clean solution for displaying various items. Choose the size that fits your needs.